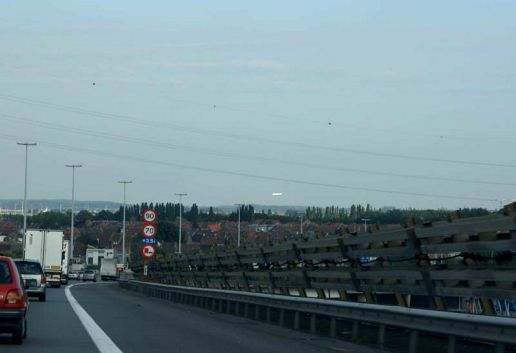 An airliner about to land at the airport of Zaventem, Brussels. Tailfin and wings are barely detectable in this shot and were completely invisible to the naked eye because of the brightness of the sunlit fuselage. A great many UFO reports that mention horizontally oriented shiny cigars can be attributed to airplanes.